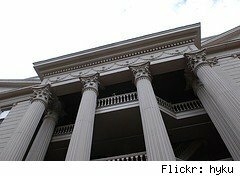 HOPE Scholarship Shortfall: Dashing Dreams in Georgia? TheNew York Times recentlypublished a story that has Georgia's current and aspiring college students concerned. It said that Georgia's HOPE Scholarship is in serious danger. This means that the hopes of many high school and college students are on the verge of being dashed. Until now, the Georgia Hope Scholarship promised students full tuition at Georgia public colleges, provided that the student graduates with and maintains a "B" (3.0) average. This program has kept talented students in the state and greatly increased the number of students there who go on to college. But its funds are drying up. Part of the program's trouble is its success. The number of students qualifying for HOPE has increased exponentially, with most college-bound high school students now graduating with a "B" average or higher. With such a large number qualifying, the money is going fast. The fact that HOPE is based on GPA alone may have led the crisis. Allegations of grade inflation at high schools have prompted tougher standards for HOPE recipients, because two-thirds could not maintain the "B" average in college. Now, students must have a 3.0 GPA in math, language arts, science, social studies and a foreign language--leaving out "easy A" classes that can boost a GPA. Another major factor in the funding crunch is that colleges have steadily raised their tuition and fees over the years, with HOPE picking up the tab. Since so many Georgia college students didn't have to pay, there wasn't much protest. While it appears there is a lot of talk around Georgia about the HOPE Scholarship no longer covering all costs (paying 80% to 90% of tuition and no fees), it is yet to be determined what changes actually will happen. The only thing known for sure is that the $150 per semester book allowance will be cut by half as of July 1.